Once upon a time, pig fat was almost as valuable as the meat itself! Almost everyone who could afford it kept pigs in those days, and so lard was a staple ingredient in kitchens around the world. In southwest France, people utilized this fat as a natural preservative. Meat was submerged and cooked in melted lard, which provided an airtight seal once cooled. In Germany, the collective name for fritters is still schmalzgebackenes which means “something fried in lard”. From Latin America to Europe to China, lard has traditionally been used in pastries and enriched bread dough. In Spain even today, you'll find it seasoned with salt and paprika, and enjoyed as a spread on toast. Lard is solid at room temperature, white, and relatively tasteless. Different parts of the pig carcass yield better or lesser quality lard. Leaf lard, the most prized, comes from inside the loin and around the kidneys. 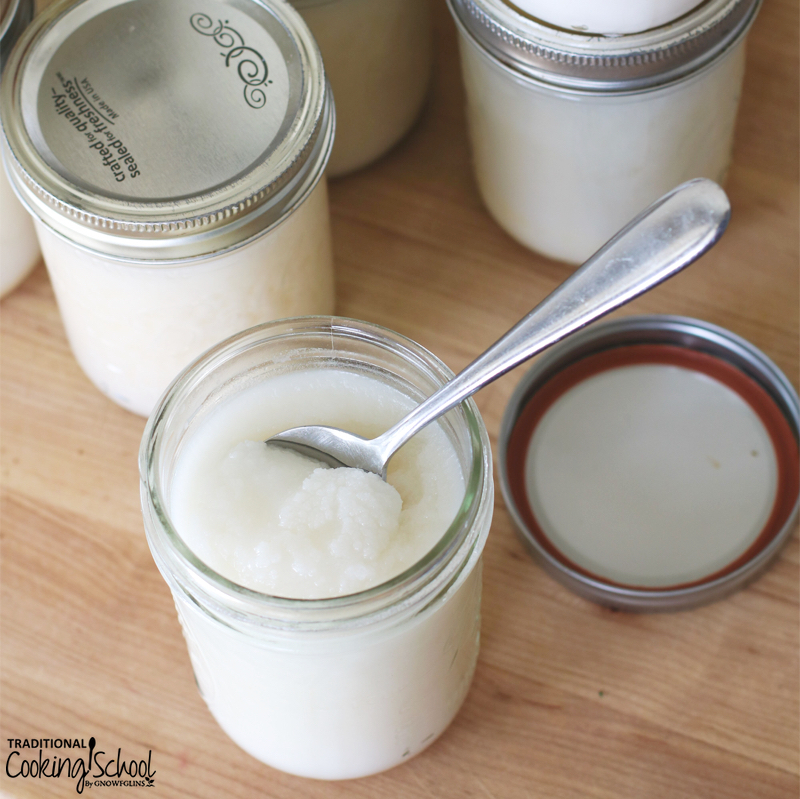 Ready to learn how to render lard in the Instant Pot (or any pressure cooker)? Let's begin! Once upon a time, the fat from pigs was almost as valuable as the meat itself! Almost everyone who could afford it kept pigs in those days, so pork lard was a staple ingredient in kitchens around the world. Traditionally, uses for lard included flaky biscuits and pie crusts. 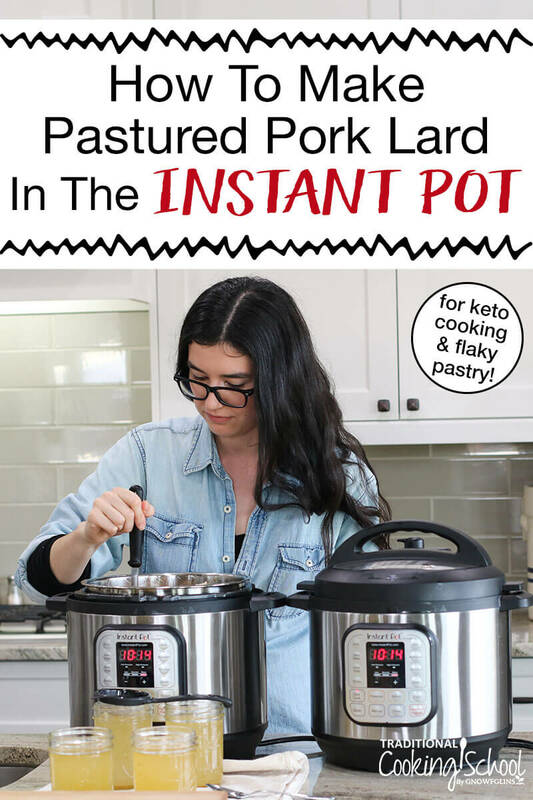 It's fallen out of fashion today, but if you're up to learning how to render snow white lard at home in your Instant Pot, it's perfect for keto baking and other cooking! If possible, allow pork fat to thaw in the refrigerator overnight. It's possible to make lard with frozen fat as well, but the process will go more slowly. If using an electric cooker such as the Instant Pot, press the "Slow Cook" function and then the "Adjust" button to toggle it to the "More" temperature setting. If using a stovetop cooker, place on burner over low heat. Add your pig fat to the insert pot. If the fat isn't already ground, cut it into smaller pieces with sharp scissors or a knife. Once the pot is full, put the lid on to keep the heat in. Let sit for an hour or two. Every few hours, come back and check on it. As the fat melts, ladle the liquid through a sieve into a waiting Mason jar. In the jar, the melted fat will rise and any meaty water will sink. This meaty water will cause your fat to spoil, so take an additional step of purifying the fat. Use a turkey baster to siphon just the fat into a clean jar, leaving behind all the meaty water. Repeat until all fat is melted. If using an electric cooker and it turns off, simply restart the "Slow Cook" cycle. Store rendered lard in tightly sealed jars in a cool, dark basement or in the freezer. *For the highest quality lard, ask your butcher for the fat around the pig's kidneys. This is the leaf lard, and if rendered slowly so it doesn't scald, will yield "snow white" lard -- the most pure, odorless, and perfect for use in pastries. *For lard that's still good for cooking, yet not as nice in pastries, use the fat from the pig's back. Once rendered, the back fat yields lard that may smell a little bit "piggy" and look off-white. It's still great for frying and sauteing, though! Does pork fat go bad? Yeeeeee-uuuuuup! If your lard starts to smell really stinky, it's definitely past its prime. There won't be a doubt in your mind once you take a whiff! Thankfully, if you follow the instructions above for getting rid of the meaty water, the rendered fat will be a lot more stable. However, to be on the safe side, we recommend storing your lard in a cold, dark basement or else in the freezer. 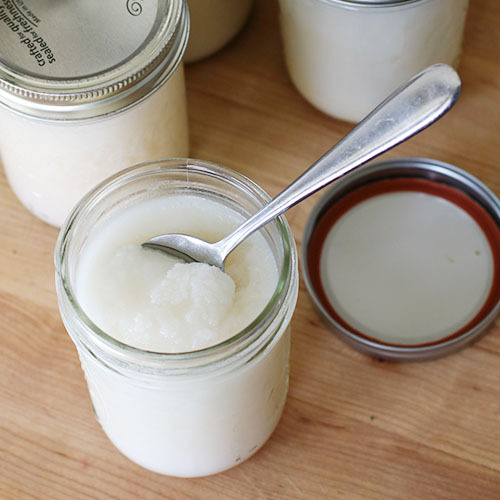 If you have a jar of lard that you're using currently, keep it in the fridge. This method is perfect for all kinds of animal fat — beef fat (which renders into tallow), chicken fat (which renders into schmaltz), etc. If you don't have an Instant Pot but would like to render animal fat of some kind, check out our article on how to render fat in the slow cooker! Or read about the time my mom rendered enough beef fat to get 8-1/4 GALLONS of tallow! 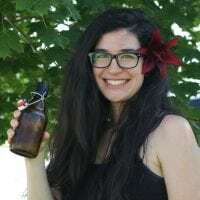 Would you like some other interesting and fun ways to use your Instant Pot? Check out these posts! When rendering the lard, could you place the liquid lard in a parchment lined cake pan and refrigerate? When cooled and hard remove from the pan and pour off the meaty water. Or will this leave residue behind?